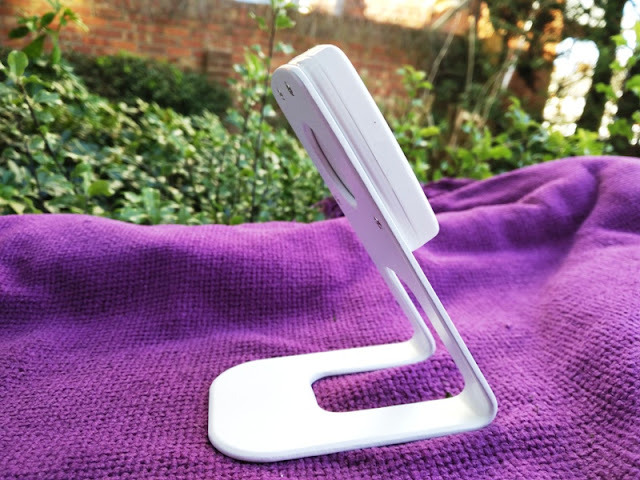 MAGQI Magnetic Wireless Charger Desk Stand! 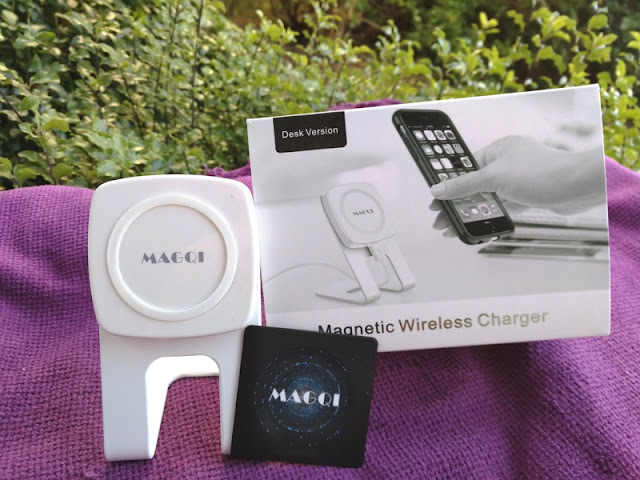 If you are looking for a more convenient way to charge your phone than to plug in wires every time, check out this magnetic wireless charger desk stand by MAGQI! 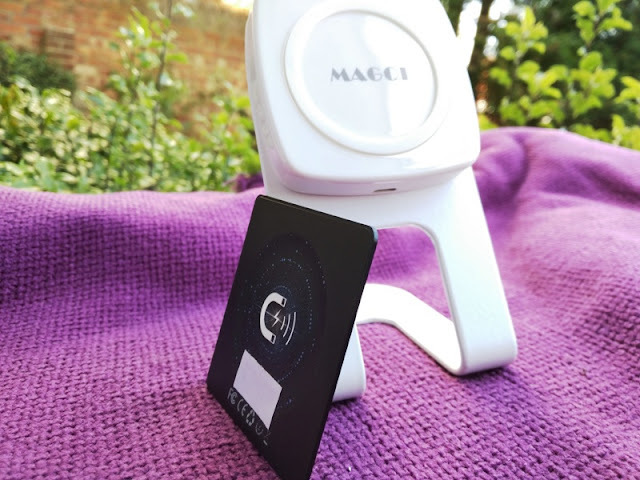 MAGQI is a magnetic wireless charger mounted on a hefty metal base stand that allows you to charge your phone wirelessly while standing up on your desk. 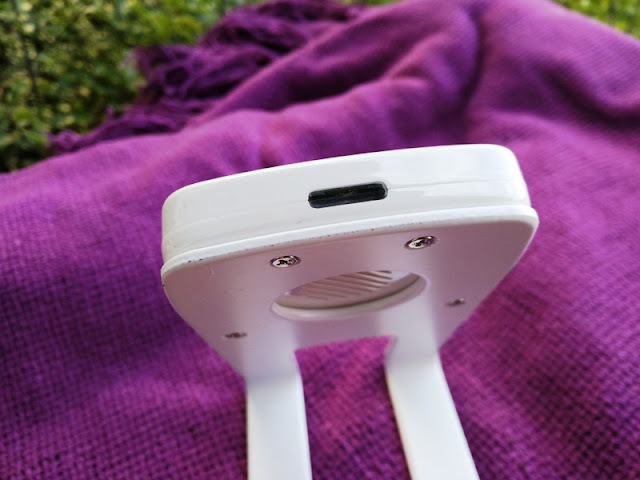 The base of the metal stand features rubber feet to prevent the stand sliding on your desk, while the charger itself features a micro USB port and LED power indicator. 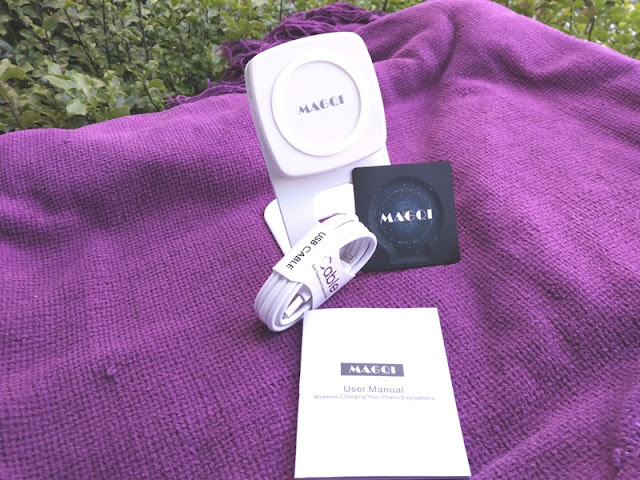 The metal base is secured to the MAGQI magnetic wireless charger via four small screws but you can remove the screws should you want to use the MAGQI on its own, laying flat on the desk. 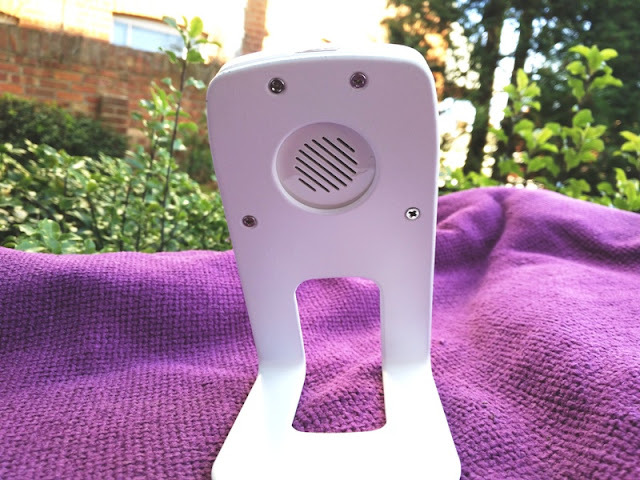 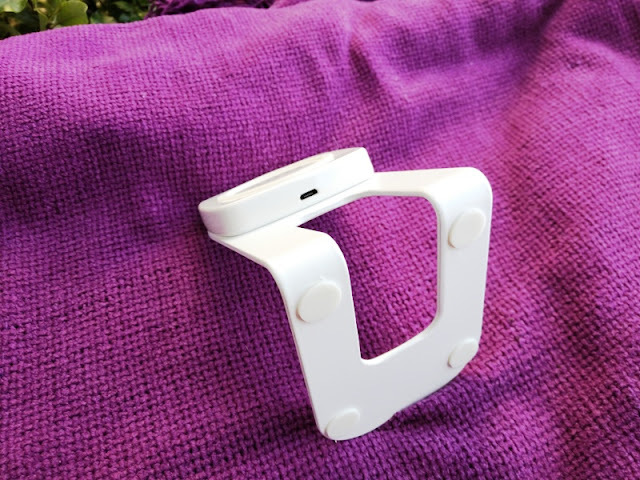 Once placed on the magnetic wireless charger, the built-in magnets provide a strong magnetic connection that is strong enough to hold a phone vertically or horizontally on the stand. 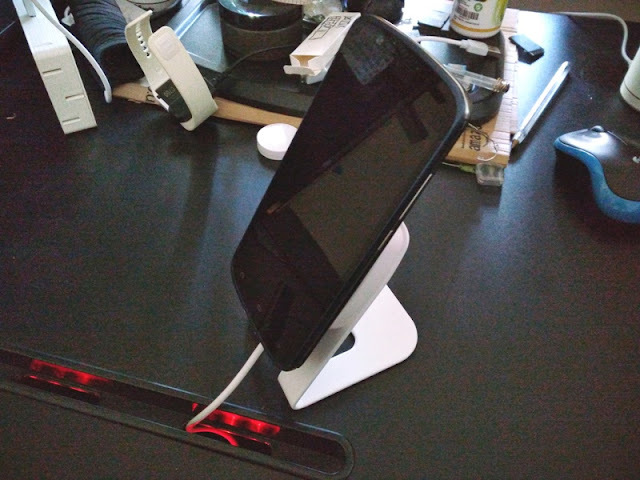 The MAGQI's magnetic wireless charger desk stand can be used right out of the box with phones that already have a built-in magnetic wireless charging patch. 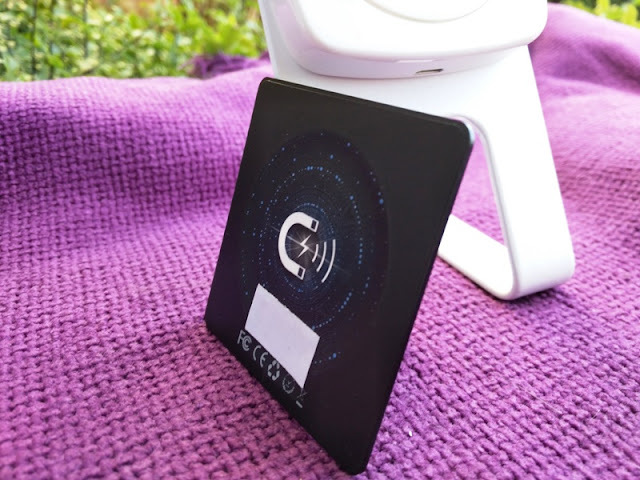 If you own a phone such as the Galaxy GS7 or Galaxy GS7 edge, you will need the MAGQI magnetic wireless receiver patch to let the power go through for automatic Qi wireless charging. 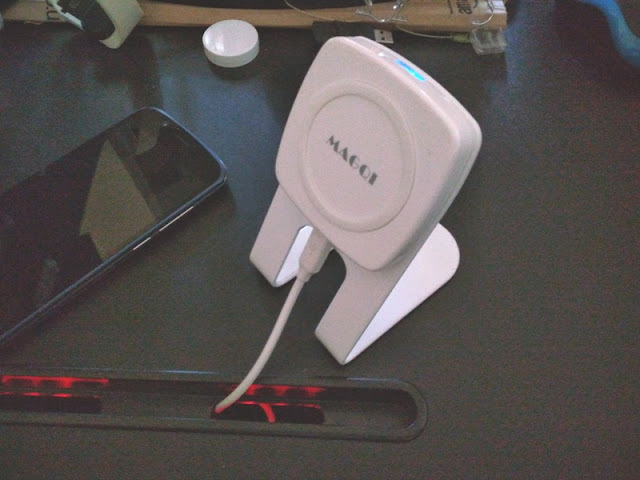 After you are done charging, you can use the MAGQI charger as a magnetic desktop stand to hold your phone while you watch a movie or do a work walkthrough. 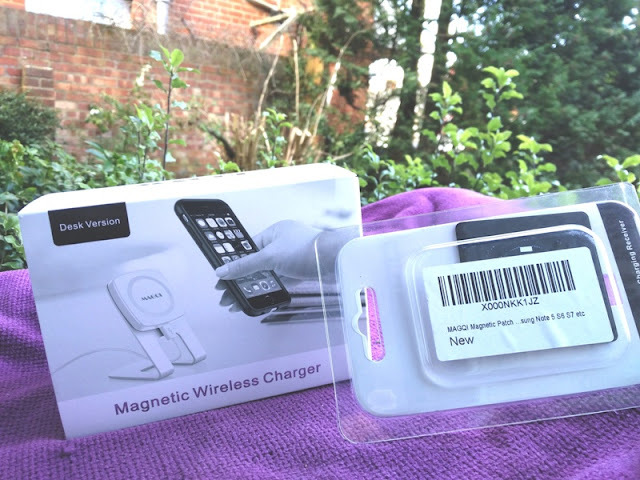 You can also charge your phone through a protective case as long as the phone case is not thicker than 10mm. 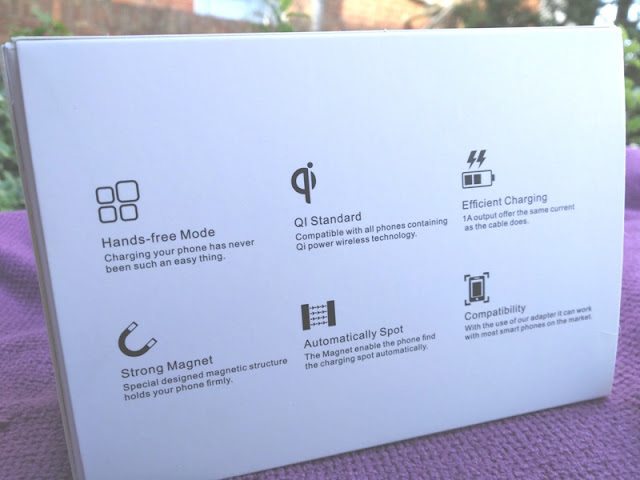 As far as charging speed, MAGQI's magnetic wireless charging pad charges almost as fast as via wall adapter, which is cool.